Being involved in a high-speed automobile collision is a traumatic event. Victims of such collisions often incur costly medical bills and are left with lasting physical pain. If you have been involved in a car accident which was caused by the inattention or negligence of another drive, you are entitled to recover personal injury compensation for these bills and pain from the at-fault driver’s automobile insurance company. Insurance adjusters are employed primarily to limit the financial recoveries of personal injury claimants. They act as an advocate for the insurance company. You can help level the playing field and protect your right to fair personal injury compensation by retaining the Durham civil litigation lawyers of Maginnis Law. Our automobile accident attorneys can be reached at 919.480.8526. You can also send emails directly to our lawyers using the form found on our contact page. Determining fair compensation in any personal injury matter depends upon what you would likely be awarded if the dispute was tendered to a jury at trial. 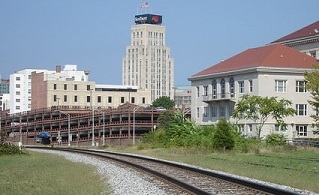 In North Carolina there are several elements of personal injury recovery which a jury may award, among those are (1) medical and pharmaceutical costs; (2) lost wages; (3) loss of wage earning capacity; (4) physical, mental and emotional pain and suffering; and (5) loss of enjoyment of life. A jury may also award punitive damages of up to the greater of three times your compensatory damages or $250,000.00 when the at-fault driver was grossly negligent. In most cases, if you have been struck by a drunk driver, he or she will be guilty of gross negligence. After determining what would be reasonable compensation for your injuries, you will need to determine from what sources you may recover your damages. Despite the insurance industry’s cries for “tort reform,” many personal injury claimants’ recoveries are already limited by small insurance policies. For instance, the minimum third-party liability limits in North Carolina are $30,000.00/$60,000.00. This means that any one person injured by the insurance company’s insured can recover up to $30,000.00, and, if there are multiple persons injured, the maximum they can recover in the aggregate is only $60,000.00. In some cases, a personal injury claimant’s medical bills alone will exceed these limits. In such instances, it becomes important to locate other sources of funds, such as the underinsured motorist insurance coverage provided by your own policy or those of others in your household. The Durham personal injury attorneys of Maginnis Law can help you identify those sources. Maginnis Law regularly handles automobile accident matters in Durham and Hillsborough and offers free consultations to all new personal injury clients. If your injuries leave you unable to travel, we will come meet you to discuss your case. To further accommodate our clients, we handle all of our automobile accident matters on a contingency basis so that you pay no attorneys’ fees unless you recover monetary compensation for your personal injuries. If you have sustained personal injury in an automobile accident in or around Durham or Hillsborough, North Carolina, including on Interstate 40, Interstate 95, US Highway 70, NC Highway 54, NC Highway 55, or US 15-501, call the car accident attorneys of Maginnis Law at 919.480.8526 or submit a confidential email inquiry via our contact page.